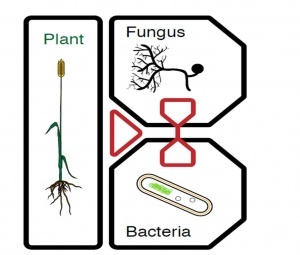 I received a Ph.D. in Microbiology / Mycology from the University of Lisbon in 1997 and I am currently working in the Plant Soil Ecology Group of cE3c. I am a professor of Mycology at the University of Lisbon. My research focuses on filamentous fungi, classical taxonomy, diversity and ecology, mainly on marine and soil ecosystems. My current research is driven by three overarching objectives: i) assess the diversity of root endophytic fungi in distinct soil types along a gradient of perturbation; salinity or drought; ii) select some of the isolates obtained along the gradients for their potential growth under distinct levels of salinity or drought; iii) test the effects of endophytic fungi isolates on plant tolerance to salinity or drought. Azevedo E., Caeiro MF & Barata M. (2018) Morphological and phylogenetic analyses of Nia vibrissa, a marine Basidiomycota collected in Portuguese waters. Azevedo, E., Barata, M., Marques, M.I. & Caeiro, M.F. (2017) Lulworthia atlantica: a new species supported by molecular phylogeny and morphological analysis. Calado, M.L., Carvalho, L., Pang, K.-L. & Barata, M. (2015) Diversity and ecological characterization of sporulating higher filamentous marine Fungi associated with Spartina maritima (Curtis) Fernald in two Portuguese salt marshes.